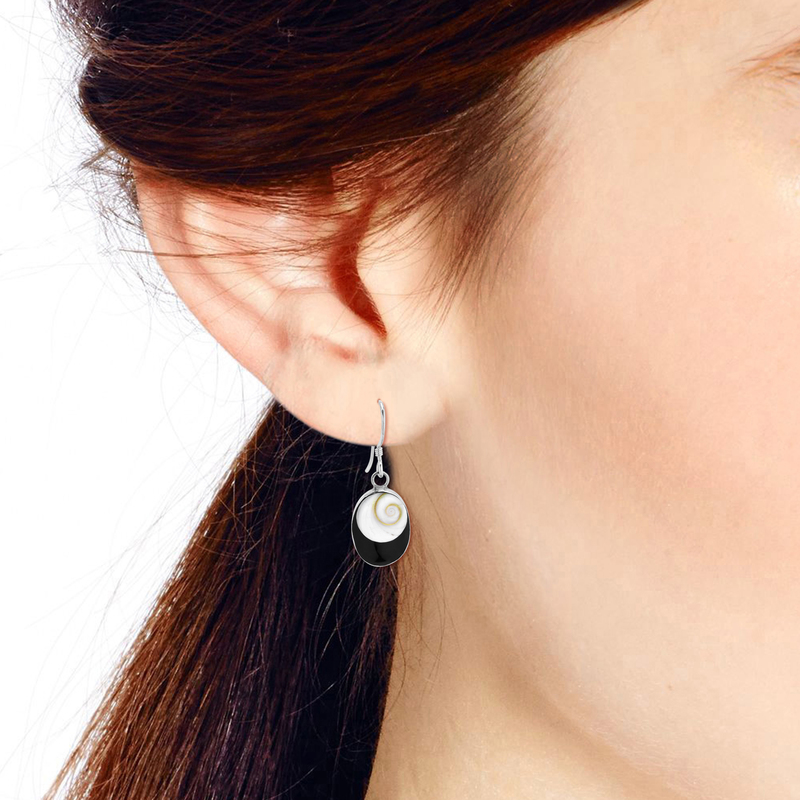 Sure to add an ocean-inspired touch of style to whatever you are wearing, these dangle earrings from Thai artisan Nuch will look amazing on you. 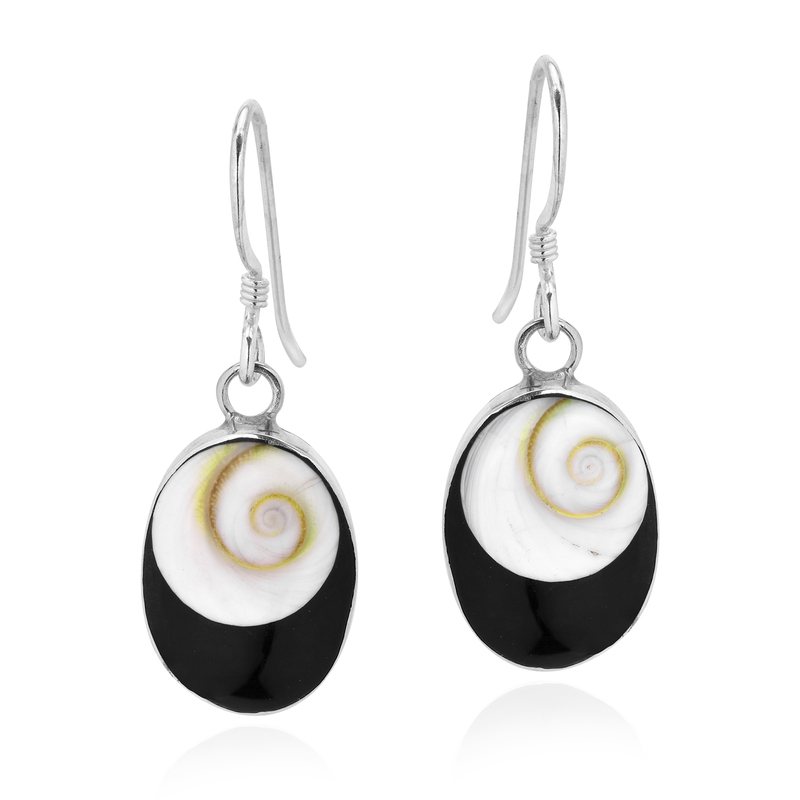 Inspired by the beauty found in the vast ocean, these earrings will add a cool beach vibe to your style. 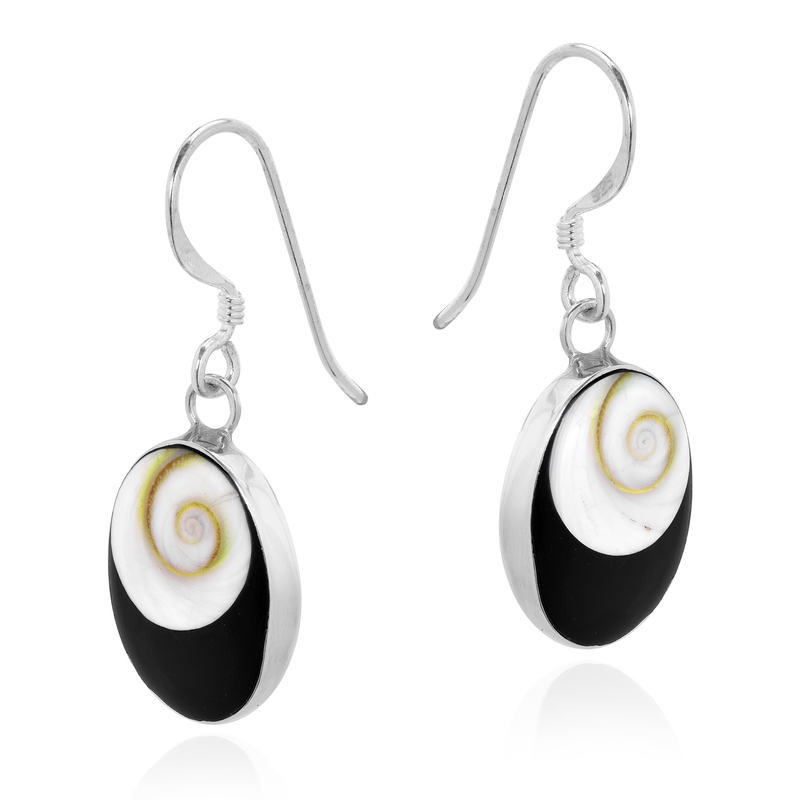 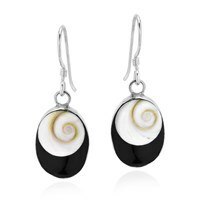 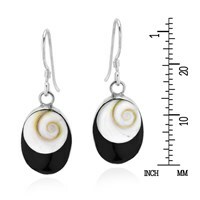 Featuring a beautifully spiraling shiva shell set on an oval piece of simulated black onyx, these dangle earrings swing from sterling silver hooks. 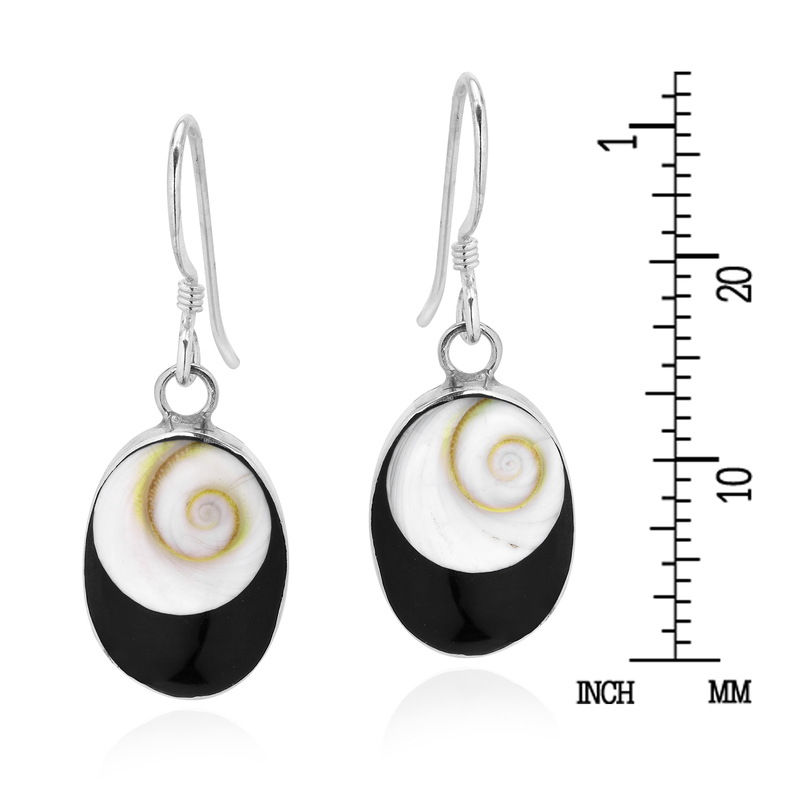 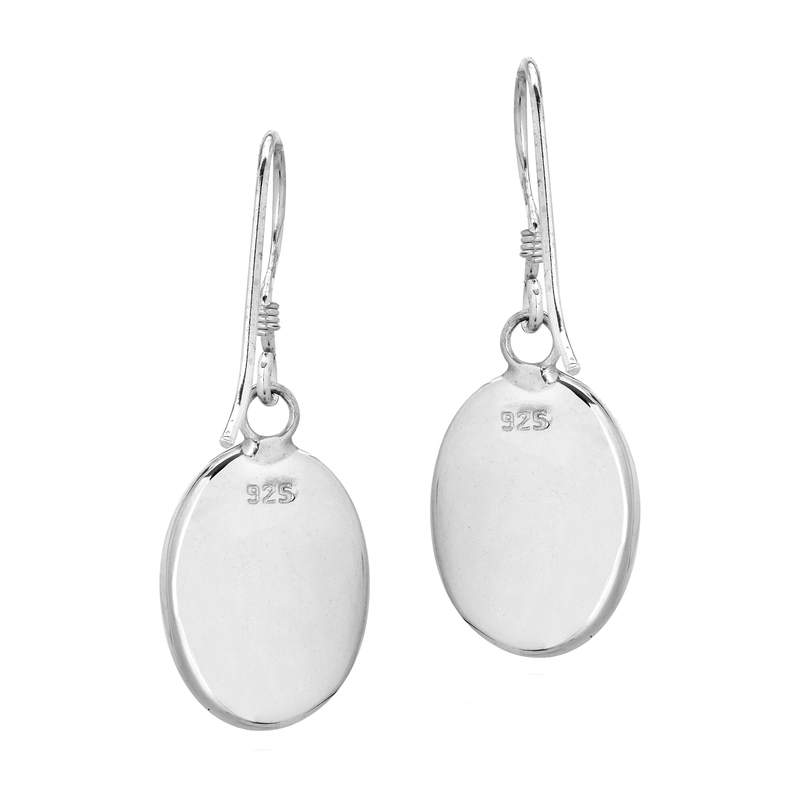 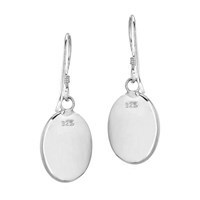 A great fashion accessory that will look amazing with just about anything, these beautifully handcrafted earrings will make a wonderful addition to your jewelry collection.